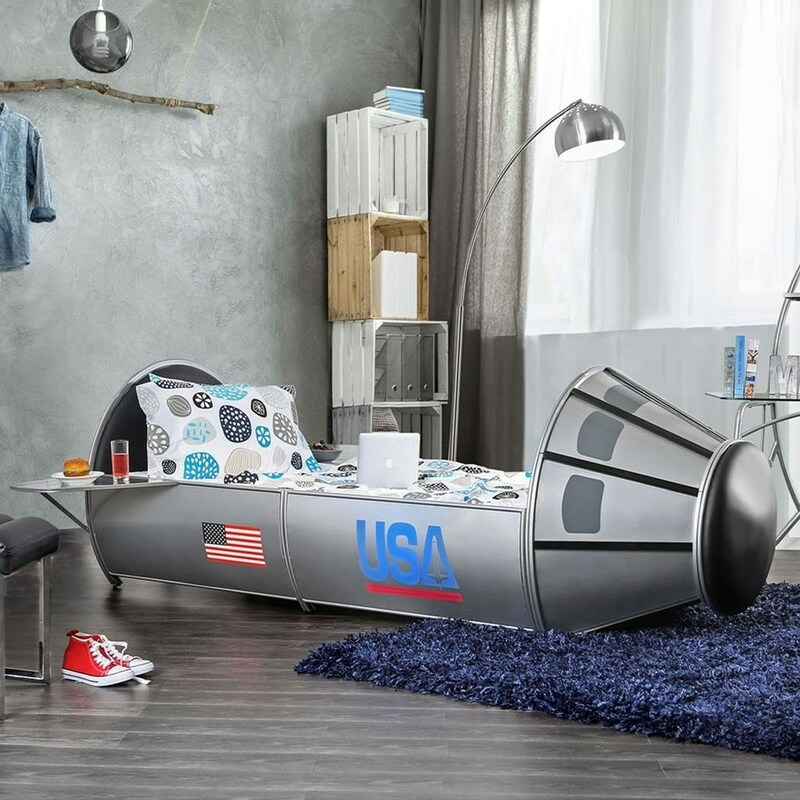 Blast away in this space shuttle-inspired youth bed and experience the beauty of the universe. Your child will gaze at stars and roam the galaxies while sitting aboard this uniquely designed desk. The Orbiter Full Size Rocket Ship Astronaut Bed with Storage by Furniture of America at Rooms for Less in the Columbus, Reynoldsburg, Upper Arlington, Westerville Ohio area. Product availability may vary. Contact us for the most current availability on this product. CM7209SV-F-1 Component 1 1 0" 0" 0"
CM7209SV-F-2 Component 2 1 0" 0" 0"
Browse other items in the Orbiter collection from Rooms for Less in the Columbus, Reynoldsburg, Upper Arlington, Westerville Ohio area.